Plastic and rubber are versatile products used for everything from packaging other products to life sustaining equipment used in hospitals. 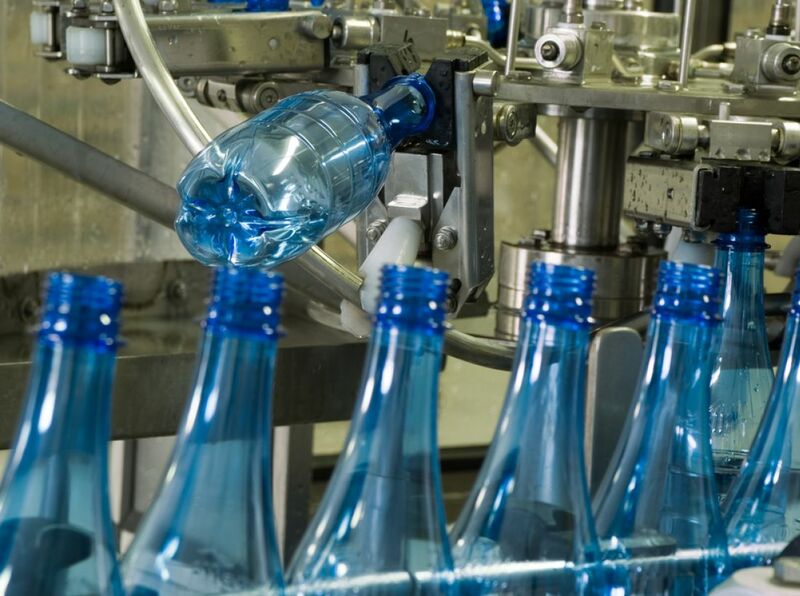 Accelerated globalization, rapid change in technology and growing consumerism have brought with it sweeping changes and abundant opportunities for plastic industry to grow domestically. A major percentage of the population in Bihar has been engaged in agriculture. Though the land is very fertile, the farmers are affected with problems of low productivity and low return on investment, primarily, due to high dependence on monsoons. Plasticulture applications have the potential to offer them the much needed solution to improve productivity and reduce dependence on monsoons and therefore, drive the demand for plastics. The increase in electricity supply has led to increase in usage of electric pumps and irrigation systems. The distribution pipes for these electric water pumps have increased the demand for plastic pipes. Beyond this, plasticulture offers various benefits like increase in the yield, reducing water losses, cleaner produce due to reduced soil contact, etc. As per industry estimates, 35-40% of the food products produced in India are wasted due to deficient infrastructure and lack of food processing capabilities. Plastic has applications in packaging which protects the longevity and quality of food. This sector also offers significant potential for growth leading to increase in demand for plastic. The State Government‘s programme to connect every household with piped water supply would require plastic pipes for distribution of water. This implies that there is potential of growth for the plastic and rubber industry in the state. 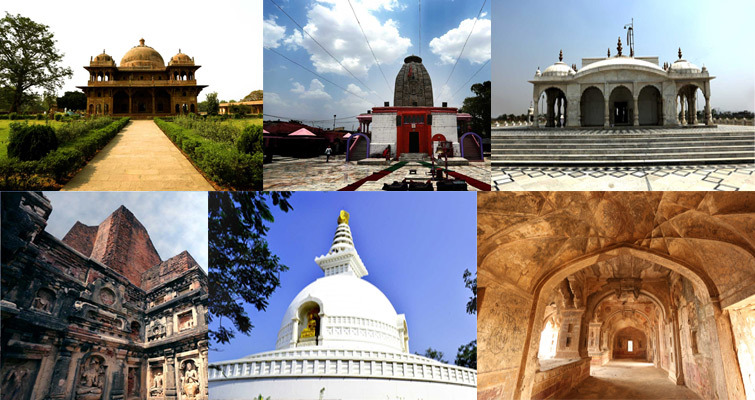 Bihar has a potential for tourism in view of its rich cultural heritage, religious and historical monuments. Bihar‘s great competitive strength from tourism point of view is its ancient and yet living civilization that gave rise to two of world‘s great religions, namely Buddhism and Jainism. Bihar has been the centre of religious activities of Hindus, Buddhists, Jains, Sikhs and Muslims. Endowed with a rich cultural and religious heritage, Bihar was a seat of power of the vast and powerful Magadh Empire. This is a land of ancient universities of Nalanda and Vikramshila, which spread knowledge far and wide through students coming from different countries of the world. The remnants of these two ancient universities, the antiques and artefacts attract tourists in huge numbers. The state has a rich tapestry of product offerings across its strengths of culture, heritage, nature, wildlife, wellness, as well as other unique products. Bihar is the third most populous state in India, with a population density of 1,106 persons per sq. km. The major health & demographic indicators of the state, like the infant mortality rate (42), maternal mortality rate (219), total fertility rate (3.5), etc. are much higher than the all India levels and presents an enormous opportunity to the investors to play a major role in improving these indicators. The public health facilities in Bihar are already overburdened and are in the process of being strengthened in terms of infrastructure and essential health requirements like manpower, equipment, drugs and consumables. Hence, these facilities are not adequate to cater to the health care requirements of the population, at present. Besides, there are very few private hospitals in the state; most of the organised private healthcare infrastructure is confined to the capital town, Patna. 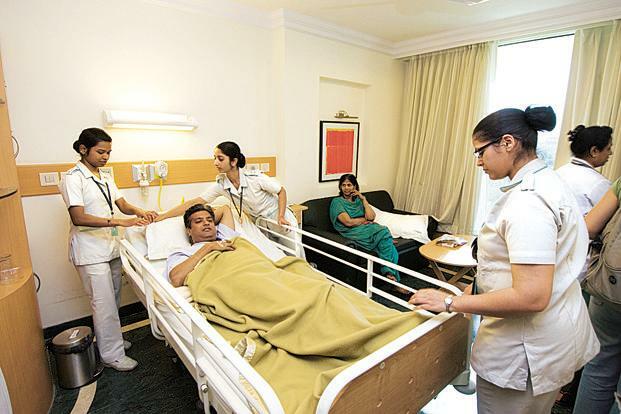 Patients seeking secondary & tertiary healthcare services have to go to Patna or move to other states for treatment. Also, most of the healthcare needs of the state are being provided by the nursing homes, run mostly by individual private practitioners, which mostly cater to the general healthcare needs of individuals. Very few of these provide speciality services. Therefore, there is a great need and substantial opportunity for private sector interventions in healthcare industry of the state. Bihar, with approximate peak deficit of 669 MW of electricity4is significantly dependent on the power supplied by the central generation stations as of now. Currently, the state is majorly dependent upon the conventional sources for electricity generation. The deficit of electricity poses an enormous constraint for all future development including industries. The per capita electricity consumption of the State is approx.203 kWH5, which is still below the national average and the demand will be much higher in the foreseeable future. The state realizes the importance of electricity on the overall economic growth and has initiated steps to address this gap by implementing large power projects which are primarily based on conventional sources, and are in various stages of implementation. 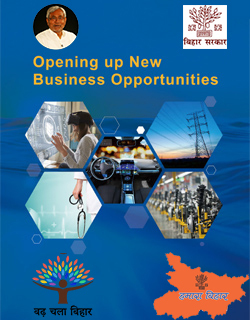 These large power projects have long gestation period, while the demand continues to rise; therefore, the state has a unique opportunity to meet this requirement through rapid deployment of modular RE system. Bihar has RE potential of more than 12.559 GW (solar: 11.2 GW, biomass gasifier/ co-generation: 619 MW, bagasse co-generation: 300 MW, wind power: 144 MW, waste to energy: 73 MW etc. )6 which is yet to be harnessed. 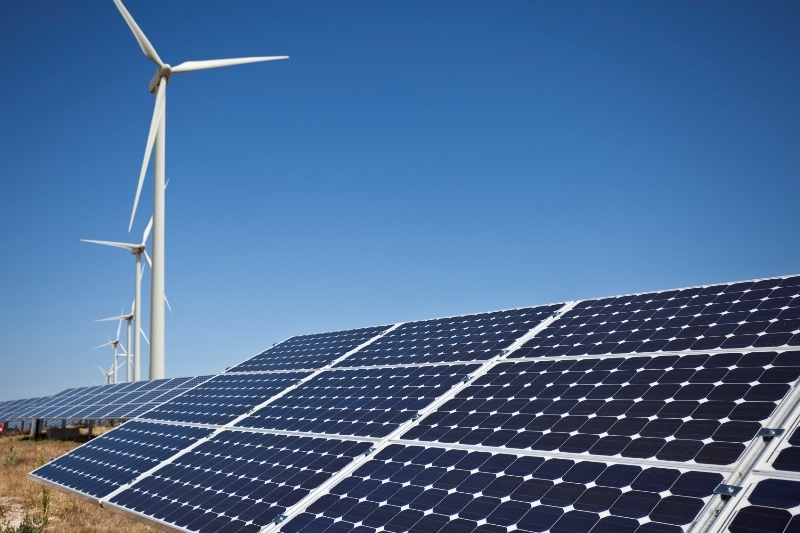 Further, there is a potential consumption market for solar off-grid applications such as SPV pumps, solar water heaters, solar street lights, etc. This presents an enormous opportunity to the industries, for setting up units for RE modular product manufacturing, RE projects, etc. In the recent past, the modern agriculture implements have registered a sharp increase in their presence in the fields of Bihar. The State Government has been providing incentives -- over and above the incentive provided under the centrally sponsored schemes -- for power tillers, tractors, sprayers, winnowing machines, power weeders and power threshers. The focus is on zero tillage machines which are more suitable for farmers with small and marginal land holdings. Because of easy availability of incentive and progressive outlook of the farmers, use of latest equipment is now becoming common in the state. The increase in electrification has led to increase in usage of electrical pumps and electricity based farm equipment. The agricultural implements market in the state is now witnessing a high growth which is poised to further growth in the time to come. Looking at this growing domestic consumption market and the lack of investment in this sector in the state till date, Government of Bihar has categorized the small machine manufacturing sector related to agriculture as one of the priority sectors in the industrial investment promotion policy. 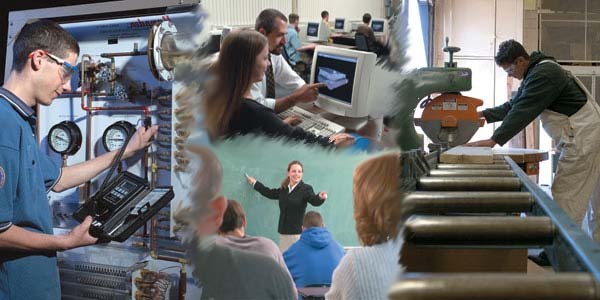 Bihar, at present, has 13 universities along with 262 government colleges and 231 local body colleges affiliated to the State Government However, the number of institutes for technical education are limited and there are only 10 colleges for engineering and technical education. Because of lack of institutes of higher education and learning in Bihar, thousands of students migrate from the state to other states like Delhi, Maharashtra, Karnataka, Tamil Nadu, Punjab and Rajasthan to pursue their college and university education. This leads to missed opportunities for the state as a hub for higher education. As many as 25 districts out of 38 in Bihar are educationally backward. Govt. of India has pegged the target for GER at 30% for higher education, by 2017. This would drive massive investments in the sector. At present, Bihar has a GER of 13%. According to an estimate, the state needs 373 general colleges (arts, science and commerce), 236 engineering colleges, 139 medical colleges, 253 education colleges and 163 polytechnics to attain the national levels of enrolment in higher education. It is, therefore, obvious that there is potential for newer institutes of higher learning in the state. Despite the high poverty levels in Bihar, most of the families, even in rural areas, send their children outside of Bihar for higher education and bear the additional financial burden of outstation travel and accommodation. Hence, if more institutes come up in the state, there would be enough demand for them to flourish. The education sector would also help in employment generation in the state as most of the higher education institutes would result in establishment of 19 educational townships with facilitation of daily needs of its residents. Hence, there would be creation of many opportunities for small business owners and young entrepreneurs.